Check out the first episode of CBS All Access and Jordan Peele's reboot of The Twilight Zone starring Kumail Nanjiani and Tracy Morgan. Check out the extended trailer for CBS All Access and Jordan Peele's reimagining of Rod Serling's The Twilight Zone. Jordan Peele's Twilight Zone reboot trailer teases new faces and subject matter for the CBS All Access series. Ginnifer Goodwin will star in the upcoming Twilight Zone episode Point of Origin opposite James Frain & Zabryna Guevara. Jordan Peele's TheTwilight Zone reboot will debut in April with two episodes and further episodes will debut on Thursdays. Jordan Peele's The Twilight Zone reboot gets another set of fantastic cast members. Jordan Peele's upcoming reboot of The Twilight Zone gets some fresh new faces. DeWanda Wise and Jessica Williams have entered the fifth dimension. Kumail Nanjiani will appear an in episode of the new Twilight Zone for CBS All-Access written by Alex Rubens. Parks and Recreation star Adam Scott will appear in Jordan Peele's Twilight Zone reboot in a remake of one of the show's most iconic episodes. CBS All-Access celebrates 59 years of The Twilight Zone with a new video teaser that announces start of production on the upcoming reboot. CBS has released the first teaser for the new Twilight Zone reboot, giving us our first taste of Jordan Peele as the show's new host. The Twilight Zone reboot is the show we need right now, according to producer Jordan Peele. 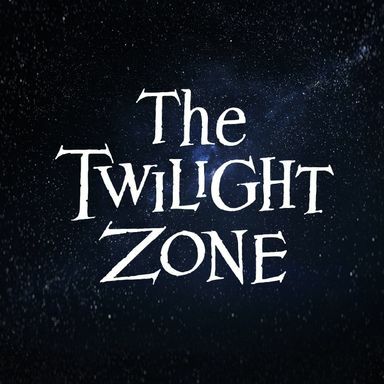 Those hoping to return to the Dimension of Imagination will want to sign up for CBS All Access and Jordan Peel's reboot of The Twilight Zone. Jordan Peele, Simon Kinberg and Marco Ramirez will executive produce and write the pilot episode for CBS All Access' Twilight Zone reboot. CBS's Leslie Moonves has confirmed that a reboot of The Twilight Zone is in the works from producer Jordan Peele's company Monkeypaw.